This past week the students have been making endless slots practice for the winding stem exam. Slots were made from blue steel thus harder to cut than softer steel. The tolerance has been changed to +/- 0.01mm instead of the usual +/- 0.05mm and the students are still adapting to that. 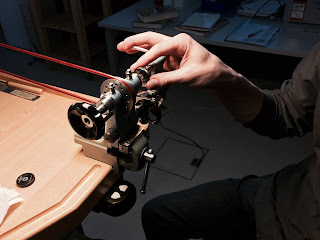 Henrik has become much more strict with the quality of the work they produce (for their own good!). Henrik taught the students how to thread steel, which is also required for the winding stem production. It is not a complicated procedure but requires a lot of technical knowledge and a lot of focus/concentration to achieve the best results. Last weekend there was a music festival in Le Locle. It was a 3 day event starting from Friday until Sunday. 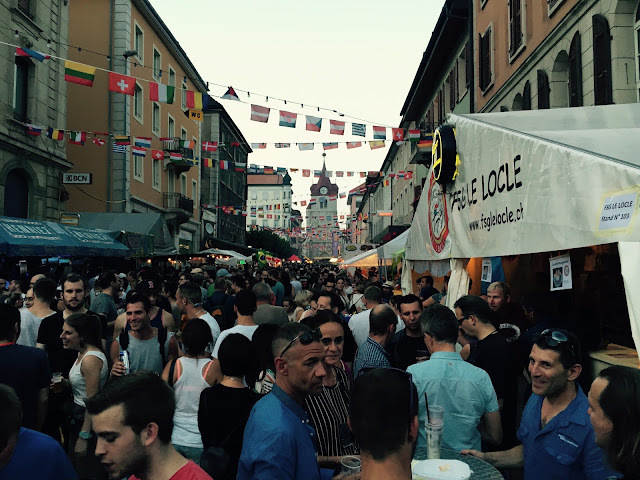 Le Locle usually has a population of 10,000, but in these 3 days, the city accumulated 60,000 people (a whole lot more than we're used to). The students enjoyed good food, good company, and of course good music.